Today, business owners and individuals in high liability fields need to protect their assets from the threat of lawsuits and creditors. One can use a professionally guided, solid asset protection strategy to effectively shield assets from business liabilities. Solid asset protection strategies that legally protect assets is an important part of being fiscally responsible. One can use the following information to make informed decisions regarding asset protection. Many of the best ways to protect personal assets take a bit of learning so that a layperson can understand them. That is why it is highly advisable to seek the guidance of a qualified asset protection specialist when protecting assets from business liabilities. Need to know some of the best ways to protect personal assets form lawsuits? 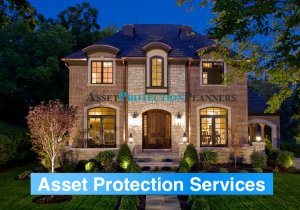 Call Asset Protection Planners at 1-800-830-1055 or complete the inquiry form on this page. When things don’t go right in business it is often an expensive endeavor. Those in high liability fields such as medicine, law, and construction are at constant risk of lawsuits for malpractice. Any business owner with employees is susceptible to worker’s compensation claims. Protecting personal assets from business liabilities is an essential part of doing business responsibly. Uninformed advisors often tout sole proprietorships as the easiest option for businesses that are just starting out. However, when it comes to protecting personal assets from business liability, it can be a very costly choice. Sole proprietorships can leave personal assets such as homes, bank accounts, investments, and personal property completely exposed in the event of a business lawsuit. Using a limited liability business entity can greatly reduce the risk to an individual’s personal assets. Limited liability business entities include limited liability partnerships, limited liability companies, and corporations. Simply setting up a limited liability business entity is not enough to keep personal assets protected. If a court feels that business assets have been used as personal assets, they can overturn the protection. This is known as “piercing the corporate veil.” For this reason, it is essential to maintain a separate corporate checkbook. The name of the business entity should appear on all documentation. You sign as a representative of the company (as its manager, for example). Any property titled to the entity should be titled in the entity’s name. Maintaining accurate records in accordance with the local law is also essential. One of the easiest ways to forfeit the protection offered by an asset protection structure is by waiting until it is too late. The main legal claim which destroys the protection of these structures is a claim of fraudulent transfer of assets. Fraudulent transfer of assets occurs when a person transfers assets with the expressed intent to delay or defraud a creditor. The statute of limitations on claims of fraudulent transfer varies widely by jurisdiction. Usually, offshore jurisdictions offer shorter statutes of limitations on fraudulent transfer than domestic jurisdictions. The burden of proof is also frequently higher in offshore jurisdictions. This means that creditors will have to work harder to attack assets held in offshore jurisdictions. Now, there are ways you may protect assets after someone has served you with a lawsuit. However, the best strategy is to engage your asset protection plan up before you need it. Offshore trusts are one of the strongest legal asset protection tools available. Thus, they are one of the best ways to protect personal assets. Offshore trusts share many similarities with domestic asset protection trusts. The most popular type of offshore trust is an irrevocable self-settled spendthrift trust. These trusts allow settlors to protect their own liquid assets, as well as assets which the trust will give to beneficiaries. 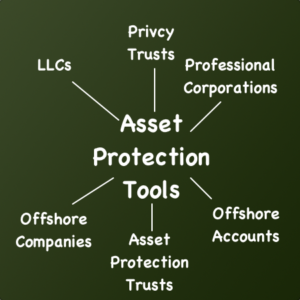 As previously mentioned, offshore trusts generally offer more asset protection than domestic asset protection trusts. The burden of proof for a claim of fraudulent transfer for a domestic asset protection trust is clear and convincing evidence. Creditors can force settlors to prove that they did not intend to avoid paying a debt as a result of a transfer of assets. In a number of favorable offshore jurisdictions, the burden of proof at beyond all reasonable doubt. Additionally, many of the best offshore jurisdictions do not recognize foreign judgments. This means that a creditor will have to have their case tried in the jurisdiction where the trust is held. This can be a very expensive and lengthy process. For this reason, most creditors decide that it is not worth the cost and effort to pursue assets held in an offshore trust. We know of no clients of ours where a creditor was able to get money out of a Cook Islands or Nevis trust that we have established for them. Limited liability companies (LLC) and corporations are also very popular for protecting personal assets. The limited liability business entities may be formed domestically or offshore. Like domestic trusts, domestic limited liability business entities in the United States are subject to US laws. They also frequently have much more stringent reporting requirements than offshore business entities. The main benefit of using a limited liability business entity for asset protection lies in the fact that they are separate legal entities from their owners. This separation is commonly referred to as the corporate veil. It is very useful for shielding assets. The liability of the owners of an limited liability business entity is limited to their investment in the business. As a result, the owner’s personal assets may not be used to fulfill debts and obligations incurred by the business. 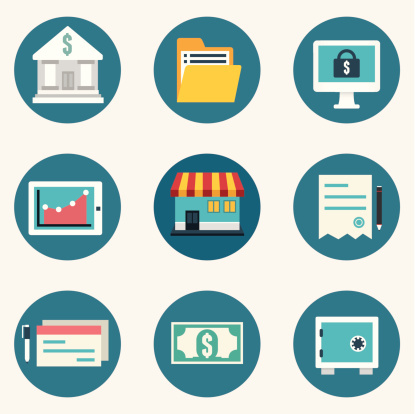 Conversely, creditors of the business’ owners may not attack assets belonging to the business. Domestic asset protection trusts are trusts which are available in the United States for asset protection. They are irrevocable self-settled trusts. These types of trusts, commonly referred to as DAPT, are available in 17 states. DAPT allow settlors to protect their own assets. They may also protect assets which will be passed on to beneficiaries. In certain jurisdictions, it is also possible for the settlor to act as a co-trustee. This allows them to maintain control over the day-to-day management of the trust and its assets. However, it is essential that another co-trustee be appointed in order for the trust to protect assets. The co-trustee must have complete control over the distribution of assets held in the trust to the settlor. Many domestic asset protection states have exception creditors. These are creditors who have the ability to seize assets which are held in a domestic asset prone action trust. Exception creditors include state and local governments for tax purposes. They also include alimony creditors, child support creditors, and tort creditors. As a result, domestic asset protection trusts may not be appropriate in certain circumstances. This includes providing protection in cases of divorce. The are provisions in the United States law which protect certain types of assets from creditors. These assets are referred to as exempt assets. Exempt assets include Qualified Retirement Plans and IRAs. Qualified Retirement Plans, including 401k plans, are protected from creditors by a federal law known as ERISA. This law does not protect IRAs from creditors. Certain states, such as Illinois, exempt IRAs from creditor seizure. The law also considers public assistance benefits, disability payments, unemployment benefits, and social security benefits as exempt assets. Life insurance proceeds payable upon the death of an insured to a spouse, parent, child or dependent are also normally exempted. Homestead exemptions may be used in the United States to protect a personal residence from creditors. This exemption may also be used to provide some relief from property taxes. It can be very useful in protecting assets for a surviving spouse. The homestead exemption is automatic in some states. This is not the case in all states, however. In states where the exemption is not automatic, the homeowner must file a claim for the exemption. Premarital or prenuptial agreements are agreements which people make before they are married. Postmarital or postnuptial agreements are agreements which are made after a couple marries. These agreements can be useful in the event that the couple divorces. There are a number of rules regarding how prenuptial and postnuptial agreements may be formed. These rules vary from state to state. In most states, however, the agreements must be completed in writing in order to be considered valid. Both parties must enter into the agreements of their own free will. The major downside to prenuptial and postnuptial agreements is that they may not be effective in protecting assets during a divorce. Frequently, these agreements do not represent the legal best interest of both parties. This is because these types of agreements are usually entered into when a couple is happy. As a result, individuals may be overly generous in how they agree to compensate their spouse in the event of divorce. Former spouses frequently challenge prenuptial and postnuptial agreements during divorce proceedings. A former spouse must prove that an agreement was made as the result of undue influence and/or misrepresentation. The courts will consider several factors before deciding whether or not to overturn a prenuptial or postnuptial agreement. One such factor is an extreme disparities between the parties in age or knowledge. Other factors include lack of adequate counsel and vulnerabilities created by specific circumstances such as poverty, pregnancy, or illness. Prenuptial and postnuptial agreements can be useful for asset protection. However, they should not be the only tools used in an asset protection strategy. Generally speaking, the most effective strategies for protecting personal assets involve using many of the tools mentioned above in combination with one another. The more tools used, the more layers of protection a creditor must get through in order to attack personal assets.